The Sunderland Strollers Pier to Pier race will be returning on the 20th of May 2018 at 10am. The race follows the coastal paths running from South Shields to Sunderland, offering spectacular views of the coastline for both participants and spectators. 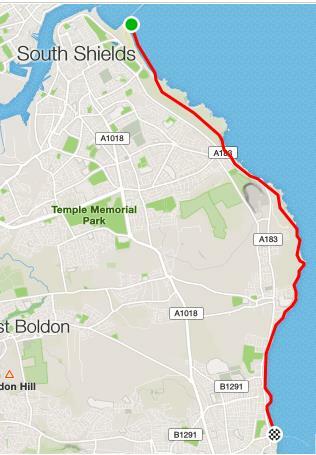 The run is approximately 7 miles (11k), starting at the beach at South Shields Pier. The route will then go along the cliff paths past Marsden Rock and Souter Lighthouse and re-join the beach at Whitburn before heading to the finish at Roker Pier in Sunderland.